If you’re looking for insulation companies that are known for providing reliable installation services in Austin, TX, look to 31-W Insulation. 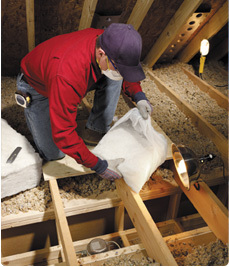 We have been serving the insulation needs of residents throughout the Southeast since 1972. 31-W is a family-owned and -operated company that is dedicated to providing its customers with excellent service, which is just part of the reason we have an A+ rating with the Better Business Bureau. Our experienced team can help you with all of your insulation needs as well. During a complimentary consultation, one of our specialists will be able to assess your insulation needs and make recommendations on which type and amount of insulation is most suitable. No matter which type you choose, you can be sure that your choice of insulation will come from companies known for manufacturing effective and lasting materials, such as Demilec, Owens Corning®, Tytan® Foam Sealants, and others. Additionally, 31-W’s installation team consists of only fully trained employees. We never rely on subcontractors to get the job done, which is just another way we ensure our high standards are reflected in every project we complete. For more information on why we’re one of the leading insulation companies offering service in Austin, Texas, contact 31-W Insulation today. We are happy to answer any questions you may have.